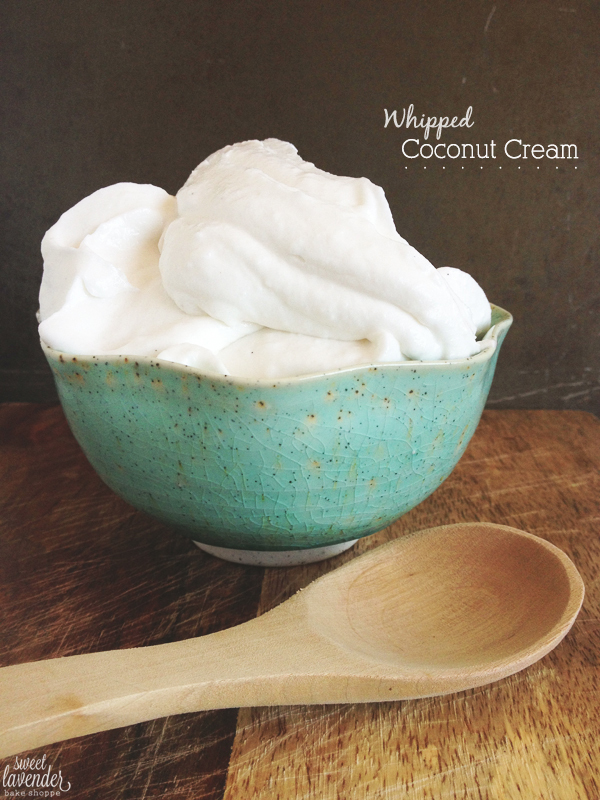 The first time I heard (errr read) about coconut whipped cream I was so intrigued! You mean to tell me that if I buy that full-fat stuff and chill it overnight in the fridge, the insides will separate and those solids can be made into a dairy-free whipped cream?! What in the... I'm in! Ok, so then I got busy and honestly guys...totally forgot! My little can sat in the fridge for 2 flipping months. 2 MONTHS! Can you believe me right now? I mean, who am I? I don't even know anymore. Please feel free to shun me to the Island of Misfit Toys (and Lame Bakers) as soon as possible. I totally deserve it. Today I finished up my work and opened up the fridge for a snack, saw my lone little can, and said enough is enough. Time to try this dang thing and see what it's all about. Hole-E-Cow friends! Can I just pause and like, really tell you how amazing this stuff is. First off, it works! Which just blows my mind. I mean- you take a liquid, make it separate and solidify, get those solids (which are almost hardened butter-like), beat them in a bowl....and end up with vegan whipped cream??? COCONUT flavored whipped cream?!?!!? 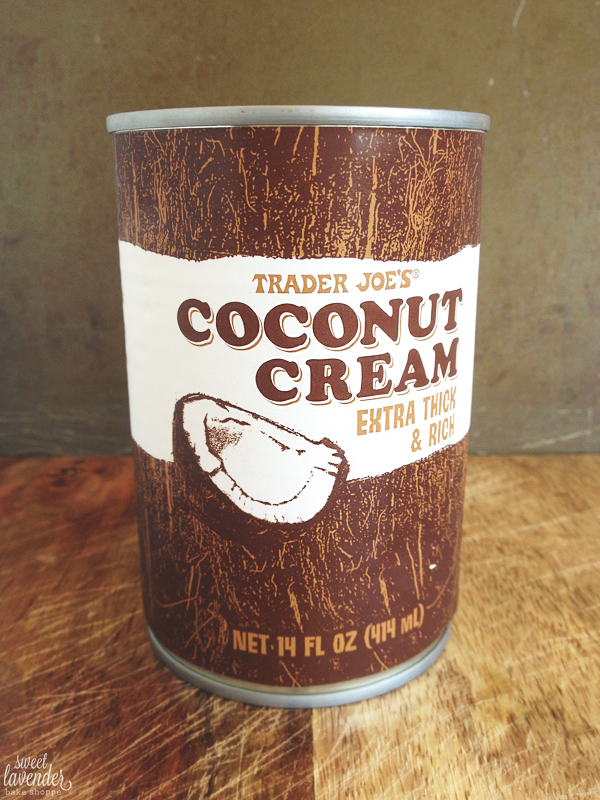 NATURAL COCONUT FLAVORED whipped cream? Could life be any better? If you've got vegan friends (or friends trying to cut dairy out of their diet), well goodness- you'll be the queen (or king) of the day. Guar-an-teed! 1. 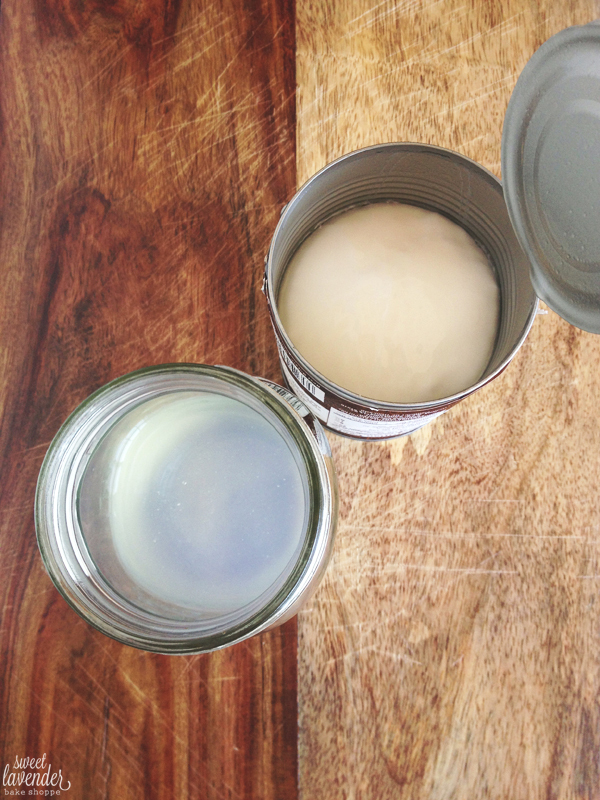 Place your unopened can of coconut cream (or full fat milk) into fridge and chill overnight. Do not shake or stir during this time. 2. Once can has been properly chilled, flip over gently and open bottom with a can opener. Carefully pour ALL of the liquid into another container and save for use in other recipes! 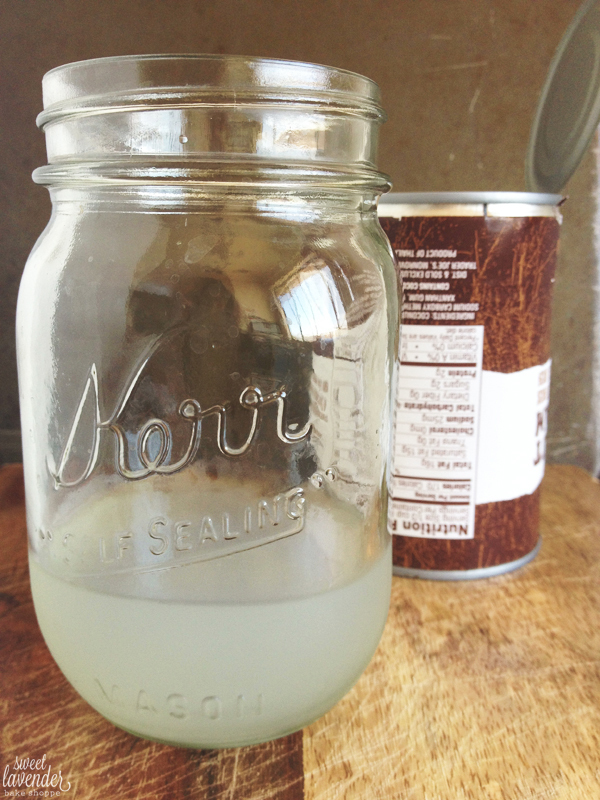 This is straight coconut water and is delicious (and super good for you)! Use it in smoothies or drink as is, yum! 3. Scoop out thick coconut cream solids and add to a chilled stand mixer bowl. 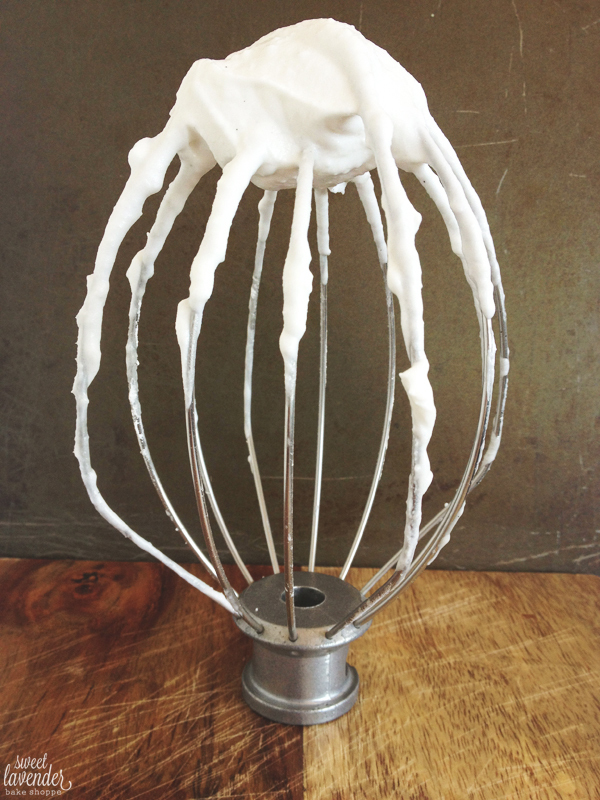 With your whisk attachment beat your cream on high for about 1 minute. 4. Stop mixer and scrape down sides and bottom of bowl. Add your powdered sugar and vanilla extract and beat on high again until light and fluffy- about 2-3 minutes more. Also, this won't beat to "stiff peaks". It pretty much stays at the "medium soft peak" stage. 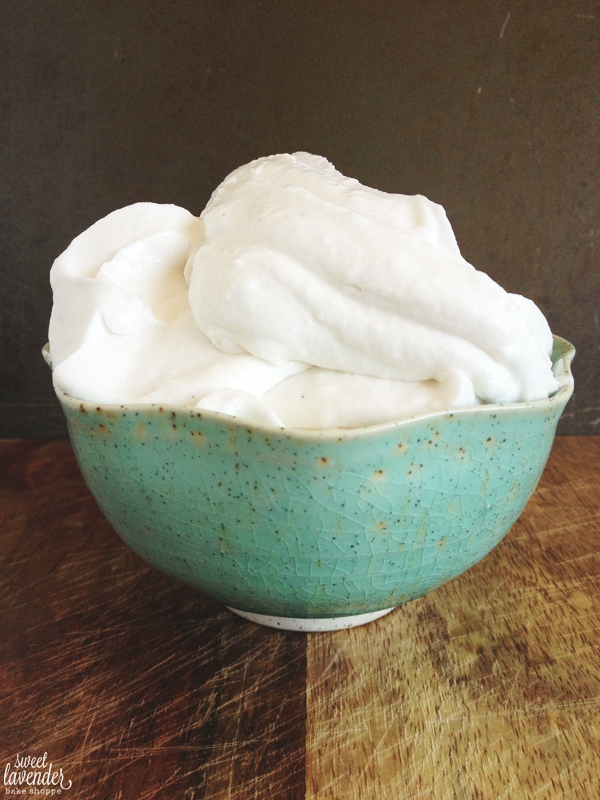 Although I wouldn't go frosting a multi-tiered cake with this whipped cream, I would HIGHLY suggest trying it on a vegan cake or cupcakes, poundcake, bundt cakes, on fruit, waffles, pancakes, or alongside your favorite pie! Ooow lovely! Have to try this! How amazing would this taste on a coconut cupcake? I'm right there with you! Would be amazing!!! What an encouraging thing to read! Thank you! Haha, well good thing to know- IF it does end up sitting there that long...you'll still be good to go! Hi Christina! I'm making this for a dinner party tomorrow, serving it with mango sorbet so a lactose-intolerant friend can enjoy dessert for a change. Thanks for the instructions and the idea! YES!!! Ok I kid not, this is one of our FAVORITE "go to" toppings for everything from fruit to cakes! I can't wait for you to make it! You'll have to let me know what you think! Happy eating!